The California Water Commission convened in Sacramento to listen to the technical presentations of applicants for the Water Storage Investment Program (WSIP). Director of Regulatory Affairs Jodi Raley attended the meeting to show support for both Sites Reservoir and the Temperance Flat Reservoir Project. 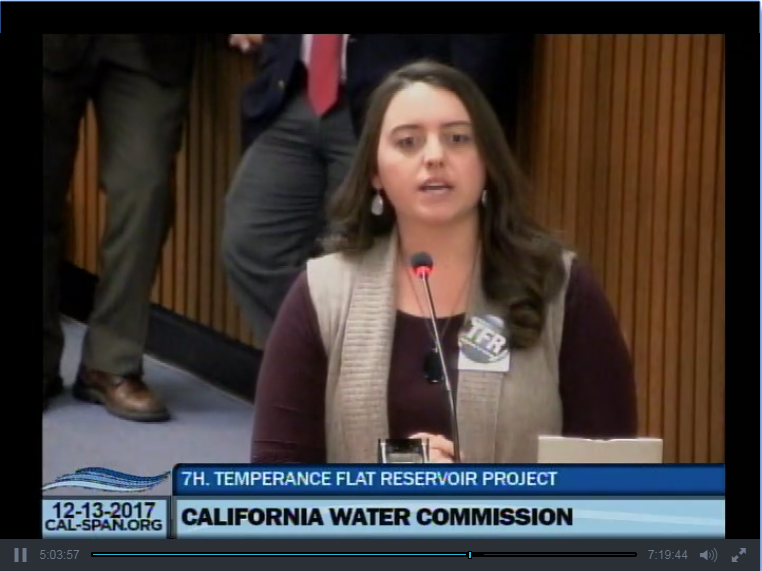 Raley had the opportunity to provide comments of support for the Temperance Flat Reservoir. Raley stated that after the devastating effects the drought had on valley agriculture and jobs that the Temperance Flat project was necessary for the long term survival of the industry in the state. Additionally, Raley cited that water will become an increasingly precious resource as farmers begin to feel the pressure of achieving the goals of the Sustainable Groundwater Management Act. The Association supports and has provided letters of support for both Sites Reservoir and Temperance Flat Reservoir and will continue to take advantage of opportunities to engage on the matter to ensure the dams get built! This entry was posted in NEWS & ISSUES on December 15, 2017 by ccgga.